The weatherfix team of fully trained and approved installers can offer and apply this impressive and environmental friendly flat roof system which will offer many benefits once installed. One of the main advantages for commercial businesses to install a green roof would be the reducing energy use and costs. Green roofs have been shown to impact positively on a building’s energy consumption by improving the roofs thermal performance, although the level of difference this makes depends on daily and seasonal weather conditions. Poorly insulated roofs lead to overheating of spaces beneath them during the summer, increasing the need for artificial cooling and excessive heating demand during the winter. 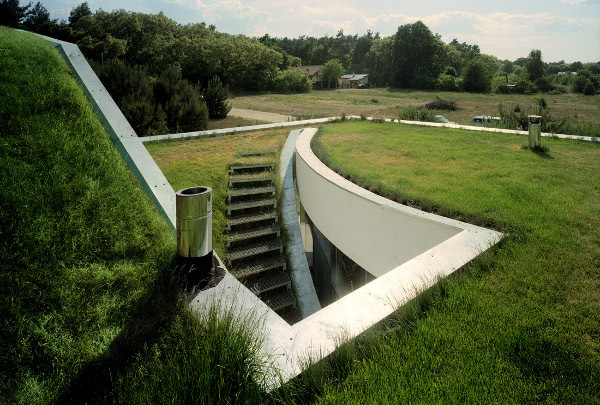 By retrofitting green roofs, both air conditioning and heating usage is decreased. Flat un-vegetated gravel roofs may be up to 21ºc hotter than vegetated roofs (Kaiser 1981). Studies carried out at Trent University under British climatic conditions have proved that planted roofs can have markedly lower temperatures throughout the roof layers compared to the unplanted roof. During the summer, solar energy is utilised by plants for evapotranspiration, reducing the temperature of the green roof and the surrounding microclimate. During the winter months, a green roof can add to the insulating qualities of the roof. Chlorophyll, found in all plant life, is the most solar reflective medium known to man. Thus, a green roof in midsummer will be even cooler than a comparable white roof by approximately 15°F. To enjoy these environmental benefits and a remarkable range of design options, a dependable waterproofing system is critical. 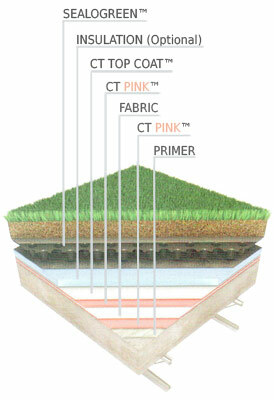 The Sealoflex® CT System with the Sealogreen™ drainage mat offers the ideal combination.